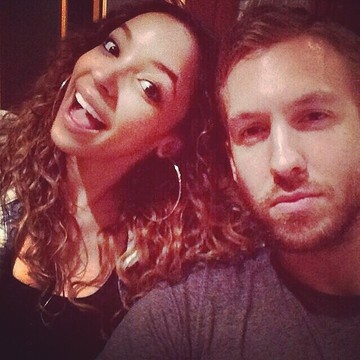 Calvin Harris and Tinashe seem to be getting along very well. And without a doubt it looks like things are hitting up between the two stars, as they are constantly spotted together. So, amid the dating rumors, the young singer and the popular DJ have been seen together in Los Angeles. Calvin and Tinashe arrived together and walked side-by-side at Soho House, in West Hollywood, last week. The rumored couple was photographed by Mail Online, which indicated that the two seemed to be very happy and comfortable in each other’s company. Calvin was seen smiling as he held the door for her, while the duo entered the building. Rumors on the potential relationship of the two first emerged last Saturday when Calvin was seen with Tinashe in Nobu, Malibu. The pair seemed to be an on a date and insiders confirmed that they were a couple. “It was clearly a date. They were super close,” one source claimed according to Page Six. “They have been seeing each other on the DL. It’s only been weeks, so it’s still pretty casual right now. They’ve been on a few dates. They stayed in touch and recently started hanging out again,” the insider went on to say. Other sources dismissed the dating rumors, saying that there is nothing going on between the two and they are only friends. The fact is that Calvin Harris and Tinashe have known each other for quite some time. They first met back in 2014 when they worked together at the song Dollar Signs. The two have not commented on the report. Meanwhile, it looks like Calvin Harris is having fun in the company of some new friends. The popular DJ was spotted partying with Kim Kardashian. This is particularly interesting given that Calvin Harris’ former girlfriend, Taylor Swift, is in a huge feud with Kim and her famous husband, Kanye West. Calvin met with Kim at the birthday party of Jennifer Lopez. He and the Keeping Up with the Kardashians star even posed for a picture together. Calvin also shared a video of him dancing with J. Lo and it seems that the musician had a blast.